M.D. Jennings interception - Touchdown Seahawks!! For years now, the NFC West has been the laughing stock of the NFL. Over the last 5 full seasons (’07-’11) the NFC West is 68-132 in non-divisional games, easily the worst record in football, it’s been picking up top 5 picks with regularity. They even managed to send a 7-9 team to the playoffs. But now, three teams are restoring the reputation of a tarnished name. San Francisco, Arizona and Seattle are legitimately good. More than that, they’re dangerous. Off the back of a strong 13-3 regular season, and overtime loss in the NFC Championship Game, the 49ers were the pre-season favourites to hoist the Lombardi Trophy with Vegas. They backed that up with an opening week win in Lambeau Field against Green Bay. 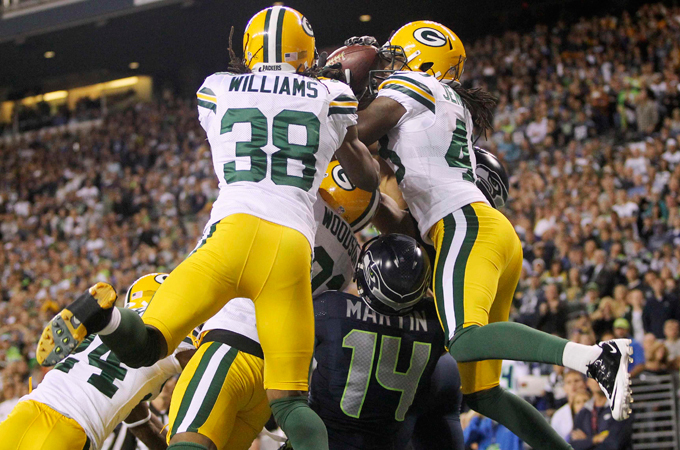 The very same Packers were just man-handled by Seattle (and the refs) on Monday Night Football. Arizona, predicted by many to finish with the worst record in football, went into Foxboro and shutdown the much vaunted Patriots offense to come away with a 20-18 win before bullying a 2-0, and much fancied, Philadelphia Eagles. All of a sudden, these teams have turned the NFC West from a laughing stock and walk-over to a scary prospect. The NFL is cyclical, teams wax and wane, but how did an awful division get itself 3 teams that cause opponents fits every week? "You called what in Seattle...."
For years, we’ve seen San Francisco roll through coaches, Alex Smith had a new offensive co-ordinator every year for 7 seasons. That’s no way to treat a 1st overall investment, but it’s no way to handle a team either. Consistency is worth a lot in sport, getting a new playbook every summer takes its toll on players. After the Mike Singletary debacle the 49ers, perennially seen as an underachieving squad, finally hit upon Jim Harbaugh and haven’t looked back since. They’re 16-5 including playoff games under his leadership. He’s given them a hard-nosed mentality and really played to the strengths of the squad, which is something others failed to do. As we’ve seen the 49ers rely on great defense, running the ball and winning the turnover and field position battles, it’s a simple formula but it’s working extremely well. 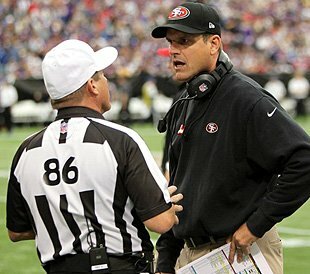 Harbaugh also makes a lot of “controversial” or “new school” moves. He takes points off the board when field goal is made but he has the penalty option for a 1st down. He goes for 4th downs in midfield. He’s even sprung a surprise onside kick. The other teams are finally hitting on coaches too. Pete Carroll has bought a dose of NCAA energy to a young team. He’s bought the raucous atmosphere that’s in the stands down to the field. Seattle have put together a young, fast and ferocious defense. Carroll’s persona perfectly matches the wild and unconstrained atmosphere of CenturyLink Field on game day, and despite some of his tactical shortcomings he’s doing a good job there, especially with other former-head coaches like Tom Cable in the staff too. Despite rocky patches, Ken Whisenhunt has been given time in Arizona to put together a team that is beginning to look extremely dangerous, despite offensive issues. The defense has been build through the draft and with a few savvy free agent signings while the offensive unit, still in rebuild mode since the retirement of Kurt Warner, is slowly coming round. All those early draft picks were bound to pay-off eventually. Through the last 6 drafts, these 3 teams have had 7 selections in the top 10. While the jury is still out on some of the high picks such as Russell Okung, and others have flat-out missed like Aaron Curry and Levi Brown, the success of players like Patrick Peterson, Joe Staley (San Francisco traded their 2008 1st round pick, which ended up being 7th overall, to New England to take Staley at #28 in 2007) and Aldon Smith has been fantastic for the teams. Add in other 1st round hits like Earl Thomas, Mike Iupati and Patrick Willis and you have some huge talent entering the division in recent years, not to mention some of the later round hits. Calais Campbell, who is right up there with the very best 3-4 defensive line players at the moment, was a 2nd round pick in 2008 for Arizona, Kam Chancellor (SEA) is a fantastic safety to get in the 5th round in 2010, NaVarro Bowman was a 3rd round pick in 2010 for San Francisco and people are already discussing him as maybe the best insider linebacker in the NFL. With all these blue chip players coming into the division, as well as excellent veterans like Justin Smith, Larry Fitzgerald and MarShawn Lynch you can see a legitimate accumulation of talent that has shaped this resurgence. A lot of these young players have been coming in on one side in particular, and it’s where these teams are now excelling…. If you love defense, you’ve been watching Pittsburgh, Baltimore and the Jets for the last few years. But in 2012, defense lives in the NFC West. 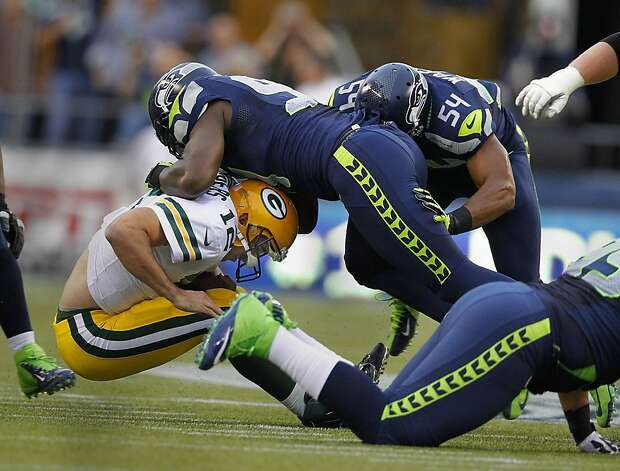 Seattle just crushed Green Bay, sacking Aaron Rodgers 8 times in the 1st half and holding them to just 1 touchdown. Arizona hassled, harried and covered the Patriots offense before battering Michael Vick, and we all know about the superstars who roam San Francisco’s fearsome front 7. San Fran, Arizona and Seattle all made big defensive strides from 2010 to 2011 statistically speaking, and it looks like at least the Cards and Seahawks are even better in 2012. Even the Rams, who kind of drag the division down with a rather leaky run defense, are putting up good numbers. Football Outsiders ranks them 6th best against the pass after 2 games of 2012 and a top half defense overall, and they hardly got cut to ribbons by Chicago in week 3. San Francisco have stifled two of 2011’s best passing attacks to open the season and still look like the defensive class of the NFL with Willis, Bowman, The Smiths and the rest causing their unique brand of havoc. One of the big things about the huge defensive performances of San Fran, Arizona and Seattle is the ability to pressure quarterbacks without blitzing, and stopping the run without having to bring a safety down towards the line of scrimmage as well as sure, unwaivering tackling. Firstly, being able to stop the run with just 7 guys these defenses a huge advantage in defending and play-action. They’re able to keep 2 deep safeties, bracket dangerous receivers and prevent the big plays against them. This has been a huge part particularly of the 49ers defense over the last year. They force the opposition to complete 15+ play drives in order to get a score, and at some point you will make a mistake against them. Pressuring with just your defensive line, so perfectly and destructively shown by Seattle on Monday, means you can drop more men back in coverage tightening the passing windows and putting doubt into the QB’s head, and then when the pass rush gets home putting fear in there too. Seattle’s rotation up front, featuring hugely underrated players like Red Bryant and Chris Clemons, is very deep, allowing them to keep fresh pass rushers going against overmatched offensive tackles. Arizona do a mix of both these things, bringing fantastic interior pressure with Calais Campbell and Darnell Dockett, they use the excellent strong safety Adrian Wilson as a joker and have a legitimate shutdown corner in Patrick Peterson to control the #1 target. And while we’re on corners, the hugely impressive duo of Brandon Browner and Richard Sherman in Seattle has been a big part of their play on defense this season. While the defensive line had a big 1st half against Aaron Rodgers, many of the sacks he took were because his elite WR corps simply couldn’t shrug off the tight coverage of Seattle. I mentioned that these teams are particularly good tacklers earlier. You might assume that that can’t be much different to other teams. After all, to play defense in the NFL you’ve got to be a good tackler right? Well no. Tackling standards around the league are really, really low. Oakland and New Orleans are among the worst offenders for missed tackles and it ruins even the best defensive schemes. These 3 NFC West defenses are all super-sure tackling units. They don’t miss tackles, and very rarely get driven back in the contact as well. The teams all swarm to the ball and are extremely physical. They’re also very clean compared to, for example, the Steelers last year. They make the big hits but without any sense of malice or (perceived) intent to harm. The NFL is a passing league. That’s what we’re told by all the talking heads, you need a great QB to win in the modern game. But this trio are showing another way. You can call it safe, unadventurous or even boring. But it’s effective. And it’s called ball control. Sure, you can’t call any of these teams great on the ground, but they are effective (except for Arizona who are mostly dreadful, but stick with it none the less). Alex Smith has been the epitome of a calm "game manager"
For these teams, who lack elite QB’s, it’s all about minimising risk on offense. And that means throwing less to reduce the chance of a turnover. These teams won’t be baited into in taking shots down field until their absolutely comfortable with it. They’ll control the clock, grind you down and put pressure the opposing offense to score quickly. The 49ers are really a step ahead of the other two on this side of the ball, having used the “ground & pound” method last year. They get inventive on the ground with Frank Gore and their running back stable, running unbalanced lines, traps, counters and a good screen game. They also trust Alex Smith to make adjustments at the line. They keep the passing game safe, throwing a lot of high percentage passes. The Seahawks batter defenses with Marshawn Lynch, demanding an 8th man in the box to stop “beast mode” before they even dare to take the shackles off of Russell Wilson, their super-vanilla offense of; middle run, middle run, empty shotgun short passes nearly wasted one of the best defensive performances seen in a long time on Monday, but they got away with it. The problem Seattle are facing is that their wide receivers aren’t good enough to uncover before their shaky protection breaks down. It’s obvious that Russell Wilson’s elusiveness in the pocket is a big part of why he got the job over Matt Flynn in the pre-season as he can still make plays despite porous protection. Arizona’s offense is perhaps the weakest of the 3, with a poor offensive line in both run and pass blocking, and middling backs in Beanie Wells and Ryan Williams, but they stay calm and don’t panic. Sticking with a poor run game is safer than asking John Skelton or Kevin Kolb to drop back 35-40 times a game, even they do have Larry Fitzgerald on the outside. But Larry is what will keep them being dangerous, as the Eagles found when they were lulled to sleep by the run game, only to find Larry Fitz streaking between the deep zones for a play-action touchdown. These teams can play this long-game because their defenses are so good at keeping the other team off the board, or at least keep the score very close. The problems come when they get down by multiple scores and HAVE to start getting quick chunks of yards. Except for chucking it up to Larry Fitzgerald these teams have very little big play potential in obvious passing situations. We saw this week that Minnesota were able to make some plays early, get in front of San Fran, and the 49ers were suddenly on the back foot and unable to really reply. Early deficits will really put these teams in a bind. It doesn’t look like it will force the 49ers out of their slow-boil offensive game plan as Jim Harbaugh has unwavering faith in it that it’s the right thing for his team to be doing, I’m not entirely sure that the other 2 will if things go pear-shaped at the start. The kicking and return games tend to get overlooked when discussing great teams, but the “big 3” in the NFC West all boast great special teams play. From dangerous return men to great coverage and top level kickers they constantly get those hidden yards that help to flip field position and give their defense more room to play with and the offense all the better position. 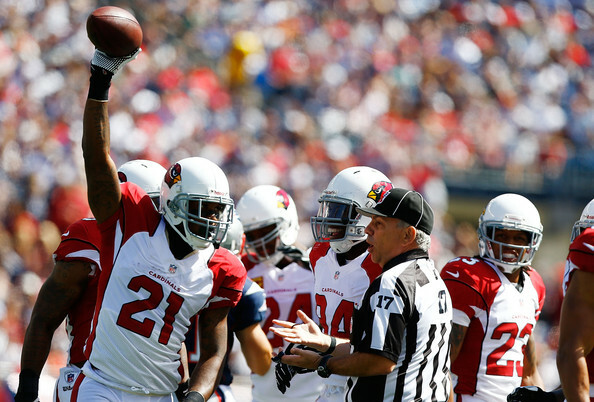 We all know how deadly Patrick Peterson is on punt returns. Leon Washington is a guy who gets overlooked when discussing return men but he’s incredibly effective in his own right, as is Ted Ginn. Pete Carroll makes a point of using his best players on special teams to ensure great coverage and blocking while Andy Lee and David Akers combine to make perhaps the best kicker duo in the NFL. Both Arizona and Seattle have already blocked a punt this season which lead directly to a TD for the ‘Hawks, and to a possession on the 2 for Arizona, and it wasn’t luck. Calais Campbell has already blocked a field goal attempt this year and 6 total blocked kicks in his career already, Seattle get after kicks well as well. It’s all these little things that don’t show up on box scores but are hugely important in giving extra little advantages to help the slow-burn offenses to work. So when we put all that together, we get three teams who are threats to any team on any Sunday. Their play-off chances will hinge on things like staying healthy, they are all fairly thin at key positions and one injury here or there could begin to derail them. As we’ve seen with the 49ers in the majority of their losses, getting down by more than a touchdown begins to create a problem for them as these offenses have little explosiveness to them. A slow start or a bad break early on can put them in hole that the big passing teams would not find nearly as difficult to get out of, but no strategy in the NFL is without its risks. Playing big defense in the pass-crazy era is not easy, the game is set up to encourage and reward throwing the ball. These teams are finding a way to stifle those big offenses, and it’s taking others some time to catch up. New England is resorting to running the ball more this season. Green Bay’s offense only got going when they started to establish a ground game in the 2nd half against Seattle to slow down the pass rush and begin to create some play action opportunities. The big question is can they maintain this level of play? And Importantly, can they keep winning games? Well San Francisco’s 2011 campaign was predicated on a healthy defense and dominating the turnover battle. If these teams continue to be stingy with their giveaways and can keep their elite talent on defense healthy then I don’t see any reason why some of the “upset” wins for Seattle and Arizona can’t continue. Arizona will have to find more consistency on the ground both from the running backs and the O line, while Seattle’s playcalling is leaving a lot be desired at the moment, as does the talent level of their wide receivers. San Francisco are better placed to win thanks to a more settled and creative offense. Personally I think it’s unlikely that Arizona and Seattle can keep pace with San Fran without finding an extra gear on offense. You might be wondering “where’s St. Louis in all this?” and that’s a fair point. Over the last few years the Rams have easily been the worst team in the division (sorry Phil), they’ve suffered from shoddy coaching, a raft of injuries and just a general lack of talent in key areas. They’ve missed on draft picks like Jason Smith at #2 overall and their other #2 pick, DE Chris Long, took a long time to become an effective player. They took a franchise QB in Sam Bradford just before the rookie salary cap came in so have been lumbered with a large cap hit from him. There are pieces, like Janoris Jenkins & Cortland Finnegan, James Laurinaitis and of course Steven Jackson. 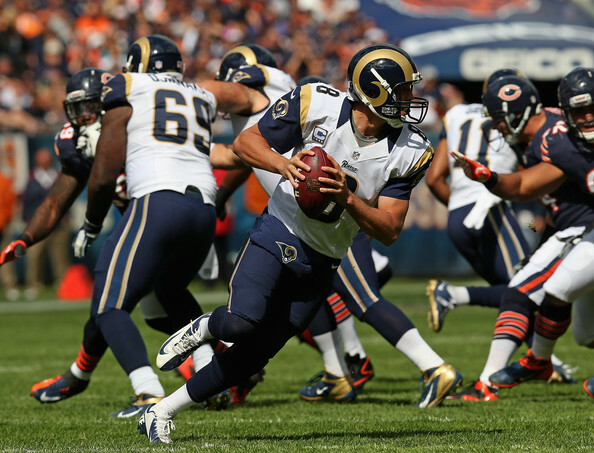 They are currently a feisty team under Jeff Fisher who do give their opponents a difficult time, but they’re not quite at the competitive level that the others are. And when they do get there, I think it will be more through Sam Bradford and the passing game than in the defense & ball control style of their divisional rivals.